A Humanities graduate from Punjab University, Deldan Namgail (38) was Sarpanch before becoming a Lawmaker from Nubra. During his college days, he headed the Ladakh Students Union in Chandigarh. A Congress MLA, he won from Nubra assembly segment in 2014. Having lost his younger brother in Kargil war, Deldan Namgail, tells Muhammad Raafi and Riyaz ul Khaliq that Siachen and other cross-border roads be opened for public. Kashmir Life (KL): Tell us about Nubra? Deldan Namgail (DN): It is 150 km away from Leh district headquarters. We cross Khardung La Pass which is 18380 feet above sea level. We have a population of around 24000, but it is widely scattered. In 2014 elections, we had 13054 voters and 10309 votes were cast. People speak local Ladakhi, but script is Tibetan. Our language resembles to that of Baltistan. 50% of our population is Muslim and 50% is Buddhist. The areas under Muslims were occupied during 1971 war. A 63 village constituency, Nubra is culturally very rich. We have an ancient monastery and very old Masjids which are found in Baltistan as well. Double hump Bactrian camel is found in Nubra only. An endangered species, it can be found in Uzbekistan and other Mongol-occupied areas. KL: What are the major issues that concern people of Nubra? DN: The main problem which my people face is power connectivity. 80% of Leh assembly segment enjoy 24*7 power supply. But Nubra is excluded from NHPC run Nimu Bazgo power project. A power project is need of the hour. It will help us develop industry as Nubra is rich in granite. Tiles and marbles can be exported from Nubra itself. We have a major issue of internal connectivity. Nubra is in a V-shaped valley. One highway leads to Siachen glacier and other leads to Bogdang-Turtuk valley (it is a Muslim dominated area) – the last village on the Indian side, Thang, lies in this valley. But there is an internal connectivity problem. Our villages are not connected though populace is widely scattered. Roads are very tough and they are being developed by BRO. We have only private vehicles, like Scorpio and Tavera, running from Leh to Nubra. In winters, Nubra remains disconnected from main Leh town because of the road closure at Khardung La. We have the snowfall of about two-three feet. Snow melts at a very low speed. If there is good connectivity, there will be good opportunities for my people. There has been a long-pending demand for a tunnel through Khardung La, but it has not been fulfilled yet. KL: What is the status of Health sector of Nubra? DN: We have one sub-district hospital having 14 posts for doctors and four for PHCs. But these posts are vacant, as doctors don’t come. The government sends them there, but they don’t come. There is political backing and that’s why such people don’t come to serve people. Our people have one advantage, that is we utilise our traditional ways to cure ailments but that doesn’t mean we don’t give them good medical health services.I am proud that there is not even a single case of female foeticide in my constituency. There are only one X-Ray machine and one Ultrasonography unit. There is no ICU facility. For major operations, patients either go to Leh or Chandigarh. There is a shortage of ambulance services. Because there is limited agricultural activity and we consume dry meat and dals, our people suffer from gases. So there is an urgent need of gastroenterologist, oncologist and neurologist. KL: What about education scenario of Nubra? DN: We have one Degree College, where only Humanities is taught. For the first time, 75 students are registered in the college. Due to lack of Science and Commerce streams, students fly either to Jammu or Chandigarh. We have only two permanent staffers including a principal. Other vacancies are temporary. And unfortunately, these teachers never join their duties. Nubra has four Higher Secondary Schools in which 17 posts lie vacant including teaching and non-teaching. We have top literacy rate, however, less opportunities. Every village has a primary school. There is only one private school – Lamdon Model School – with two branches. Nubra has produced four KAS officers and two KPS officers. KL: How does district administration work in Nubra? DN: Leh and Kargil have autonomous bodies but have less annual budget. There has been a demand to increase of 10% of total budget every year given the prices and the inflation. Nubra has only one sub-division and four Tehsils, but only one Tehsildar. I myself do what Tehsildars are supposed to do, like issuing PRCs. All the requirements of the Tehsils need to be fulfilled. Nubra is 100% Scheduled Tribe. My people have been facing problems on this account as well. We have been demanding a separate district. It is very difficult for DC and other HoDs to monitor Nubra from Leh because of Khardung La. We have huge connectivity problem. Ironically, the base camp of Siachen has a BSNL tower but cellphones in a village adjacent to it doesn’t work as there are no such towers. KL: Nubra is a sensitive as well strategically important since it borders Pakistan and China. Please explain? DN: Before I detail the importance of Nubra as a border area, I have a story to tell. Our king, Jamyang Namgail, was war captive in Skardu in our history. He fell in love with Skardu king’s daughter and eventually married her. Since then, we have relationships between Muslims and Buddhists. There is huge concentration of Indian army because Nubra borders Pakistan on Northern side and China on Eastern side. World’s highest battle filed – Siachen – too lies in Nubra. Interestingly, there is very less footprints of army in populated areas of Nubra. There are a few army posts in Partapur and Tyakshi villages. People enjoy cordial relations with army as it has been implementing Sadhbhavana project and people have been demanding increase the allocations under it because my people have been given DG sets, solar lamps and Tarpaulin and other basic commodities. Being a border area there is a deep network of Intelligence agencies including IB, MI, CID and IBF. KL: Being a border segment, what are the issues faced by people of Nubra? DN: During 1965 and 71 wars, Indian army occupied many areas up to Thang village and now people face problems on many fronts including Revenue. 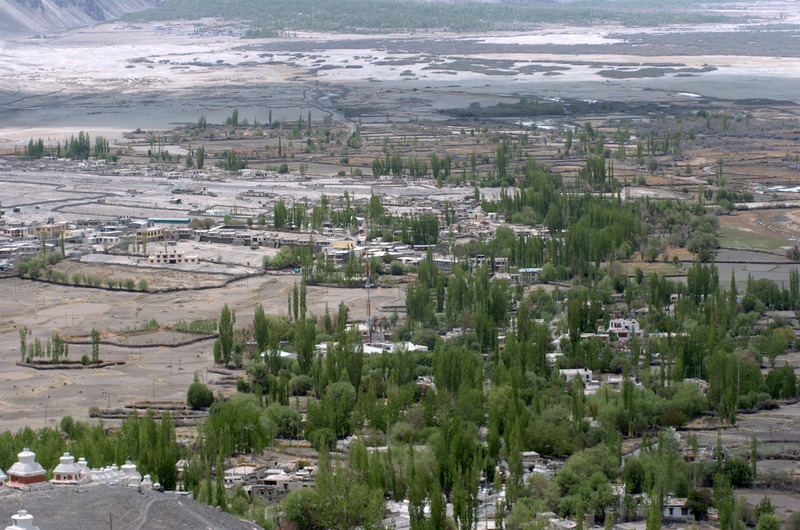 Skardu was Tehsil headquarter in 1971 and revenue record of Tyakshi village still lies there. Now, people of that area have to fulfil certain requirements before getting PRCs. Unlike other border areas of J&K, trans-Himalayas in Nubra are not porous so there is no infiltration at all. The towns unlike my area on the other side of border, Tha-hanu village of Pakistan enjoys 24*7 power supply. My people live dark nights. Pakistani villages have best infrastructure viz-a-viz roads, but we have intense road problems. KL: You have been demanding that border tourism be boasted in Nubra. What is your demand and how do you want it be implemented? DN: There is one road Turtuk-Khaplu road which connects Nubra with its neighbouring villages on Pakistani side. We want this road be opened which will help my people revive relationships who have been facing a cruel divide since decades now.There should be at least a meeting point at the border so that people can meet their relatives. The boast in tourism will help local economy and government needs to take immediate steps. On Siachen, governments of India and Pakistan spend huge sum every day. It is unfortunate given the poverty in the neighbouring countries. It impacts the economies very heavily. The GoI needs to spend this amount on development of people. We have been demanding that Siachen be opened for domestic tourists, at least. The landscape of Nubra is very unique; a few villages and those who own taxis are earning huge from tourism. If border tourism is promoted, then every village will earn reasonably from it. Otherwise, my people are dependent on BRO and army for livelihood. There is a huge potential of pilgrim tourism given the traditional monasteries and Masjids across Nubra. My party colleague and former Minister, Nawang Rigzin Jora, has been instrumental in getting funds for my area in the tourism sector. KL: Given the tough conditions at Siachen, how do your people who work with army survive? DN: In every season extending for three months, people mostly in the age group of 18-35 start working with the Indian army. They are paid around Rs 15000 per month. However, they face huge problems given the tough climatic conditions. Since 1984, there have been 21 deaths. Three bodies have not been recovered yet. Government says the number is 13 which is half of the reality.The labour rights of my people would be gravely violated but since I along with some officials of Labour Organization worked on it, Works Man Compensation Act is being used in any casualty or injury. 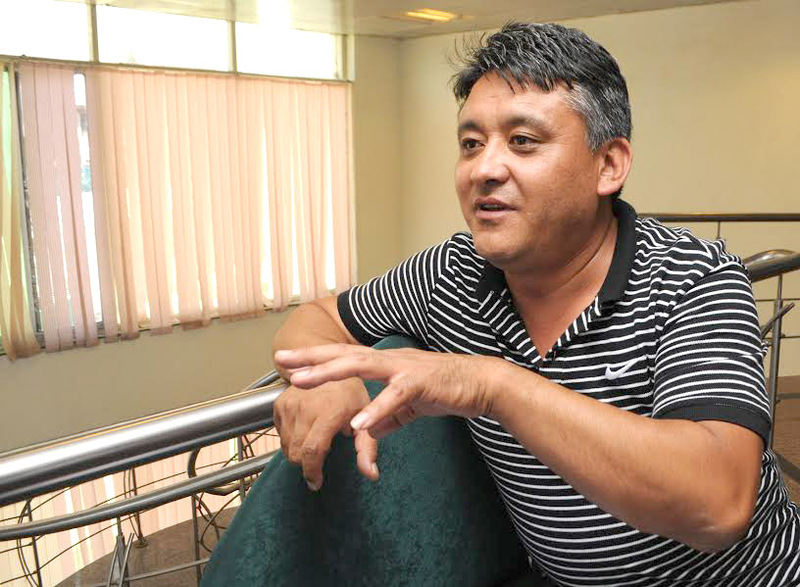 In 2011, a youth namely Nima Norbu fell into crevasses at Siachen. He was rescued after 22 hours. After first-aid at General Hospital Army Nubra, he was airlifted to Chandigarh. Both of his legs were amputated and I had to fight with army and court cases to get a compensation of Rs 1054000 for him. He was again shifted to Pune where he was given artificial limbs. Since then, there has been no such issue as we have solved the problem of compensation once for all, but there are certain problems in the insurance policy.